Sometime in 1970, a native hunter named Dafal, a member of a local tribe living on the island of Mindanao in the southern Philippines, set out some traps a few hours hike into the jungle. Although the Philippines had a long history with Europeans—they had been contacted by Arab Muslims and by Portuguese and Dutch traders, formally colonized by the Spanish, and later conquered by the United States and held as a possession before being granted independence—the hundreds of islands in the archipelago had also always been inhabited by a bewildering number of tribes, some consisting of just a few hundred people. Most of these local peoples had long since become assimilated into Western culture. A few, however, still lived primitive agricultural village lives deep in the jungle. And, some stories said, even deeper in the wilderness, were isolated tribes who had never been contacted and were still living the hunter/gatherer lifestyles of ancient times. When Dafal went to check on his traps a few weeks later, he was shocked to encounter a group of people, dressed only in leaf aprons, that apparently were living in a hillside riddled with caves. Dafal learned that they called themselves “Tasaday”. They had no knowledge of Dafal’s people or of anyone else, and believed that they were the only humans in the world. When he returned, Dafal told others in his village of the mysterious jungle dwellers. Eventually, word filtered all the way to Manila, where they reached government official Manuel Elizalde, Jr. At this time, the Philippines were ruled by Ferdinand Marcos, a brutal American-backed dictator with a corrupt police state. Elizalde was in charge of the government department that oversaw all of the various national minorities and native tribes. Intrigued by the Tasaday story, Elizalde flew to Mindanao to see for himself. It was June 1971. What he found came as a surprise to the entire world. The Tasaday had apparently been living isolated in their jungle home for thousands of years. They had no metal, no cloth, not even baskets—only simply-made stone tools. They had no weapons, and their language did not have any words for “enemy”, “war”, or “hatred”. They didn’t even hunt animals, but lived almost entirely as vegetarians, gathering fruit and nuts in the jungle and sometimes supplementing these with tadpoles or small fish which they caught with their bare hands. It was exactly what the world of 1971 wanted to hear. This was the time of carpet bombings and the My Lai Massacre in Vietnam and of the invasion of Czechoslovakia. It was the time of race riots and the civil rights movement and political assassinations. And it was the time of hippies and anti-war “peace and love” and the environmentalist movement. The “Tasaday” became a utopian symbol in which everyone saw what they wanted to see. TV and film crews flocked to Mindanao, accompanied by celebrities like Gina Lollobrigida. National Geographic did full spreads on the peace-loving nature children, and a book titled The Gentle Tasaday climbed to the top of the New York Times best-seller list. But the newly-discovered Garden of Eden in the Philippines was already in trouble. The remote areas of the Philippines had, since Spanish times, only barely been under the control of the central governments in Manila. After the United States assumed control in 1898, there were years of guerrilla fighting and counter-insurgency. Some of the rebels, like the Muslim-inspired Moros, never gave up and were still fighting 100 years later. In the 60s and 70s, the Philippines were also a Cold War battleground, with Soviet-backed Communist guerrillas active on several islands, including Mindanao. So nobody thought it strange when, in order to “protect” the Tasaday, access to outsiders was restricted and all visits had to be arranged and accompanied by Elizalde. A year later, Marcos declared martial law, which reduced access even further, then in 1976, the government announced the creation of a 19,000 acre preserve in the area and ended all outside visits. Even the handful of professional anthropologists who had been studying the Tasaday were forced to leave. In 1986, the Marcos regime was finally overthrown by its own people, and a democratic government was established under Corazon Aquino (the widow of a murdered anti-Marcos activist). Taking advantage of the opportunity, a Swiss journalist named Oswald Iten, accompanied by Filipino translator Joey Lozano, made the trip to Mindanao to find out what had happened to the Tasaday. What he found was an even bigger surprise than the 1971 “discovery”. The Tasaday cave homes were all empty, and all the “Stone Age survivors” were farming their lands in a nearby village, with Western clothes and culture. The whole “Tasaday” story, they told Iten, was fake: “Elizalde forced us to live in the caves so that we’d be better cavemen. Before he came, we lived in huts on the other side of the mountain and we farmed. We took off our clothes because Elizalde told us to do so and promised if we looked poor that we would get assistance. He gave us money to pose as Tasaday and promised us security from counter-insurgency and tribal fighting.” When the story broke back in Manila, most investigators concluded that the hoax had been perpetrated by the Marcos regime as propaganda to depict itself as compassionate and humanitarian (and also, it was said, in order to reserve for its corrupt officials—including Elizalde—the rich timber and mineral resources in the area). As it turned out, some of the anthropologists who were studying the Tasaday had already become suspicious that something wasn’t right. 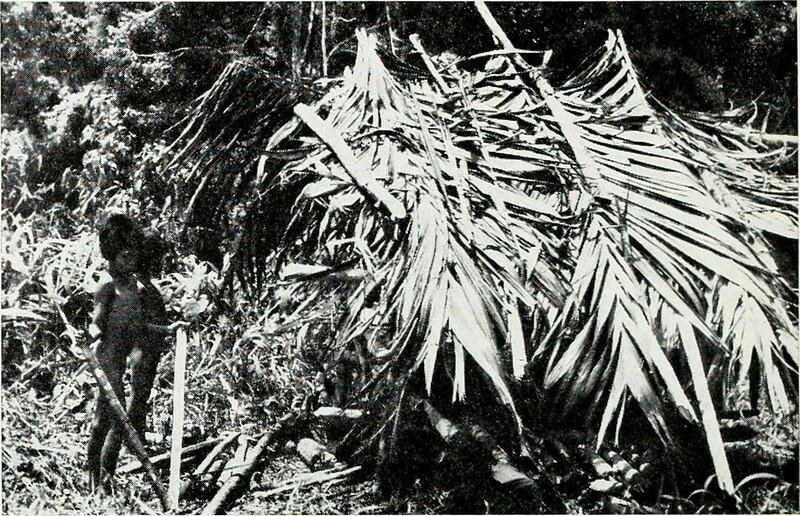 A few had noted that the “isolated natives” exhibited resistance to all of the diseases they were exposed to, indicating that they had not in fact been isolated but had already long been in contact with the surrounding modernized tribes and their pathogens. One anthropologist noticed that the jungle foods the Tasaday were gathering (without the aid of basketry) were simply not enough calories to live on, and they must have had another source of food. Elizalde, who had politically survived the Marcos regime’s overthrow (he had fled the country shortly before with a reported $35 million in embezzled funds before returning) and was now the head of indigenous affairs under President Aquino, fought back. He organized an investigation by the Philippine Congress in 1987 (the committee decided that it was a matter for science, not for politics), then in 1988 he filed a libel suit on behalf of the “tribe” against those who were declaring it a hoax. President Aquino joined the fray by officially announcing that the Tasaday were a “legitimate Stone Age tribe”. Her verdict, however, did not influence the anthropologists and scientists, nearly all of whom were now convinced that the whole “Tasaday Affair” had been a Marcos-engineered propaganda hoax. And then things took another odd turn. In the 1990s, linguist Lawrence Reid from the University of Hawaii spent a number of years with the remaining Tasaday, and made a particular study of their language. It was, he concluded, a dialect of the Cotabato Manobo language, spoken in other parts of Mindanao but not in the tribal villages that were closest to the Tasaday. And by analyzing the subtle differences between modern Cotabato Manobo and the Tasaday variant, Reid was able to conclude that the two had separated about 150 years ago. Reid was able to put forth a hypothesis which is now the most widely-accepted explanation for the Tasaday puzzle. Back in the mid-19th century, the Philippines were a place of conflict and danger. The authority of the Spanish colonial government was slim at best and there were constant revolts and rebellions, there was much tribal conflict, and slavers regularly passed through the jungle looking for fresh victims. Under these circumstances, a small group of Cotabato Manobo speakers on Mindanao apparently retreated deeper into the jungle in around 1850, where they were able to escape the chaos and eke out a living. At some point in the past 50 years, they apparently made contact with the surrounding modernized villages, from whom they obtained some modern implements like clothing, metal knives, and agricultural implements. When the Marcos regime approached them in 1970, offering economic help and protection in exchange for participation in the “Stone Age” hoax, the Tasaday played along, hiding their modern materials and playing up to the “Stone Age paradise” story. So, it seems, the Tasaday were not actually a relict of the Stone Age—they were simply a group of very poor refugees who had managed to live an isolated life for over as century before they became caught up in the Cold War politics of a world they knew virtually nothing about, and played along with a gigantic swindle because they thought it would help them.